Good access to airport. Good shuttle service. Friendly service. Great reception. 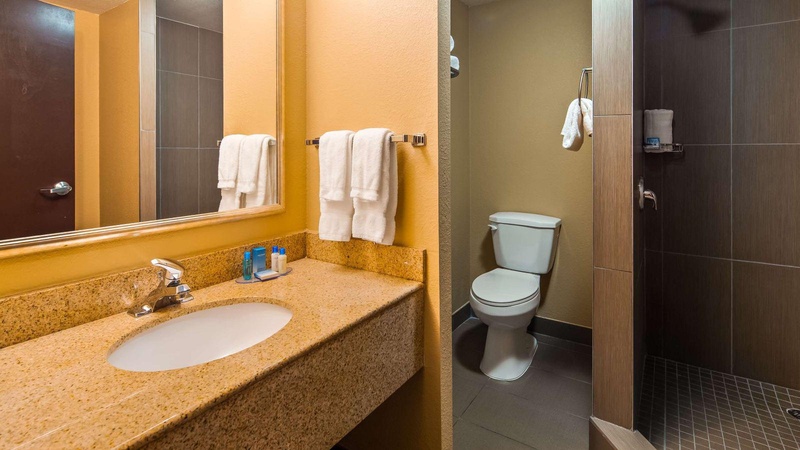 Welcome to the Best Western Plus Atlanta Airport-East! Our 24 hour shuttle service makes it easy for guests to enjoy an extended layover or catch an early morning flight. Once you have arrived at the airport, please go to ground transportation, zone 2. You must then contact the hotel for shuttle service. 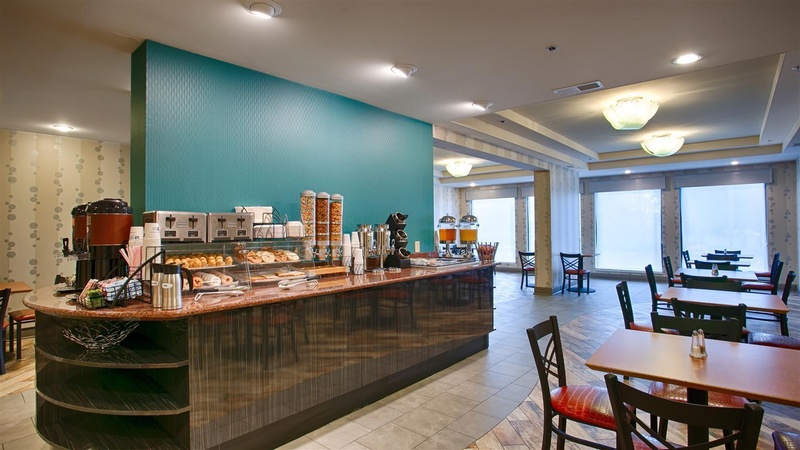 Atlanta International Airport hotels feature southern hospitality and an unbeatable location. 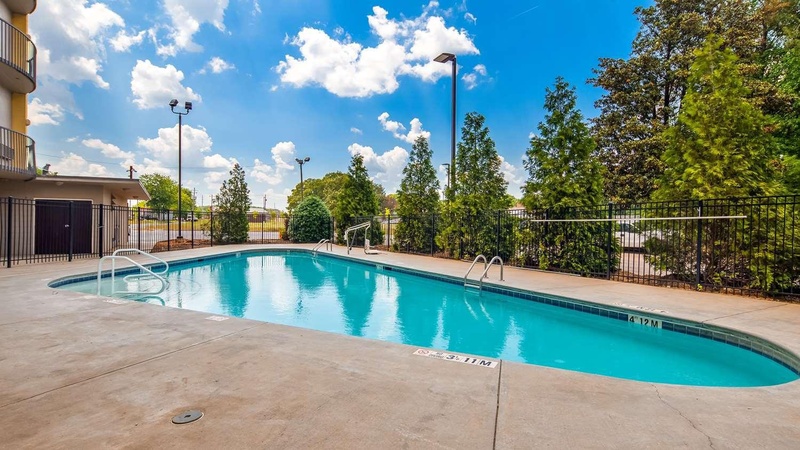 Our Hapeville hotel is minutes from Turner Field, Atlanta Motor Speedway® and Lakewood Amphitheater, with easy access to Interstate 75, 85 and 285. Hartsfield-Jackson International Airport hotels make it simple for guests to take in a Braves® game while traveling. NASCAR® and America's Mart® are also close by. Whether you want to enjoy an event at Aaron's Amphitheater or simply stay near the airport, our staff will take good care of you. 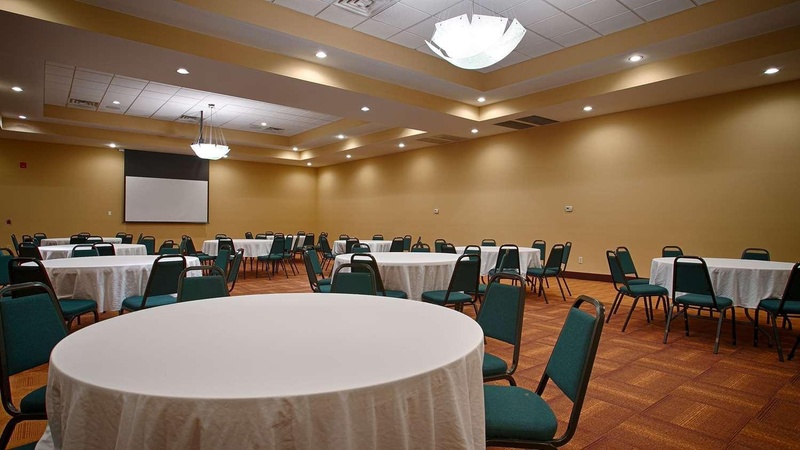 Our Hapeville hotel is a popular choice for business travelers like employees of Fort McPherson, Fort Gillem and Delta Airlines®. We offer free shuttle service to Delta® training center. 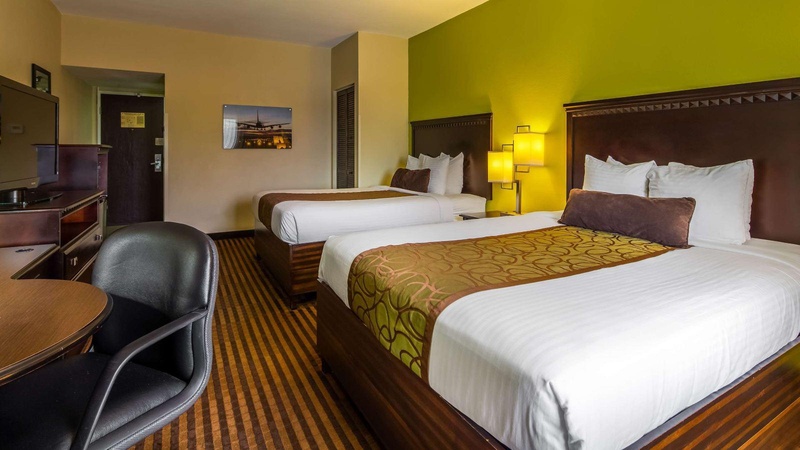 Whether you're here for a conference or just passing through, count on us to provide you with comfortable accommodations. With the new Porsche® headquarters being built a mile away, our Hapeville hotel regularly welcomes employees in town for the project. Downtown Atlanta attractions are minutes away, such as the Georgia Aquarium®, World of Coca-Cola® and Georgia World Congress Center. We offer free shuttle service to MARTA® for easy commute to downtown. 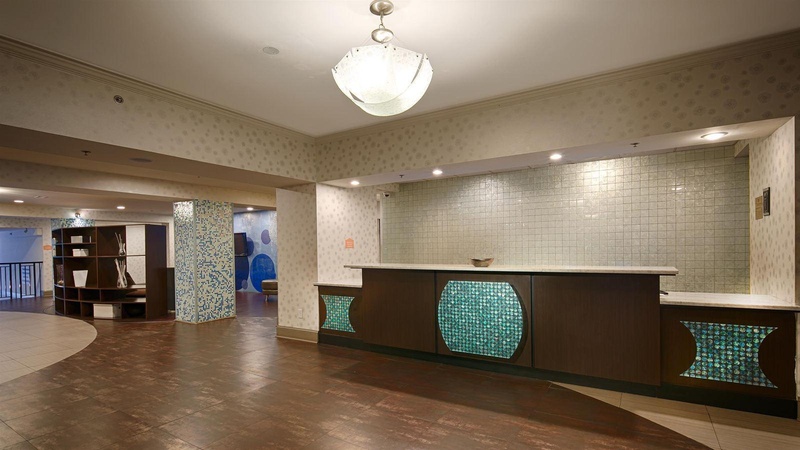 Guests at our Hapeville hotel enjoy easy access to Georgia, Zoo Atlanta®, and the Martin Luther King, Jr. Historic site. Minutes to Midtown, the right hotel makes the difference between a good and a great trip. Let us make your vacation as pleasurable as possible. 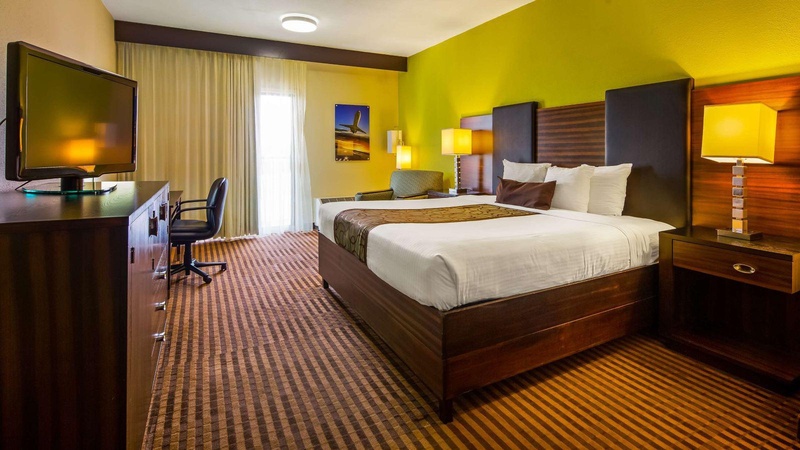 Book a quiet room at the Best Western Plus Atlanta Airport-East today! Enjoy your stay. Close to ATL airport. Close to the Airport and downtown. Wonderful airport shuttle service. Very good highway hotel. Easily accessible by car and close to the airport. Great rooms and fantastic service. Complimentary ear plugs. Free shuttle bus service. FREE shuttle to the airport. Top-notch guest services. Staff was accommodating. Awesome front desk staff. Continental breakfast was very delicious. Varied selection for breakfast. Breakfast was fantastic. A/C works great. Great ear plugs. Great water pressure. Bar right in front. No bar. Building is old. Dated facility. Hallway loud. No indoor pool. Pool was not open. Pool was closed.